Timber sale contracts can be very tricky and should be handled by a professional forester. Let Dwight Stewart & Associates help you with your next timber sale. We require all loggers to follow South Carolina's Best Management Practices (BMPs) and we will review each bid and periodically inspect the logging operation to make sure you get the most from your timber in an ecologically sound manner. There are also taxation issues to consider when harvesting timber. Dwight Stewart and Associates can help you handle all aspects of your timber sale including site preparation and replanting. We can assist you in applying for a number of different cost share programs available to landowners. If you are in the market to buy some standing timber, view our timber sales. Or, if you would like to purchase land with timber on it, view our property listings. 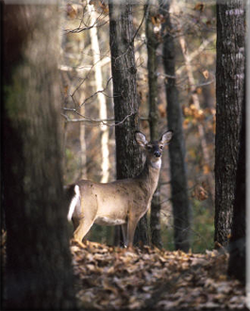 If hunting or simply watching wildlife is the primary use for your property, Dwight Stewart & Associates can write a forest management plan that helps create areas for wildlife, be it quail, turkey, deer, or even an endangered species. There are also government programs that assist landowners who want to manage for wildlife. Dwight Stewart & Associates will make sure that your property takes advantage of any assistance available, including Forest Stewardship and the Conservation Reserve Program (CRP). Dwight Stewart & Associates uses the latest technology in collecting GPS data in the field and creating precise maps of your property for use in timber management. We also use data from other sources to incorporate soils, hydrology, topography, and aerial photos to formulate a complete GIS which helps land managers make better decisions. While making money on your timberland investments is important, keeping that money is also important. We stay current on the ways that income and estate taxes affect landowners. Along with your tax advisor and legal professionals, we can be an important part of your financial planning team.